For example, Nephi’s brother, Jacob, conveniently and consciously summarizes the four stages of the Nephite prophetic view in seven verses right near the beginning of his impressive covenant speech in 2 Nephi 6–10. This prophetic overview of God’s plans for the House of Israel and all humanity lines up with and informs Nephi’s and Jacob’s understanding of Isaiah’s prophecies. When Nephi includes passages from Isaiah in his writing, he chooses chapters and verses that align with this prophetic view. 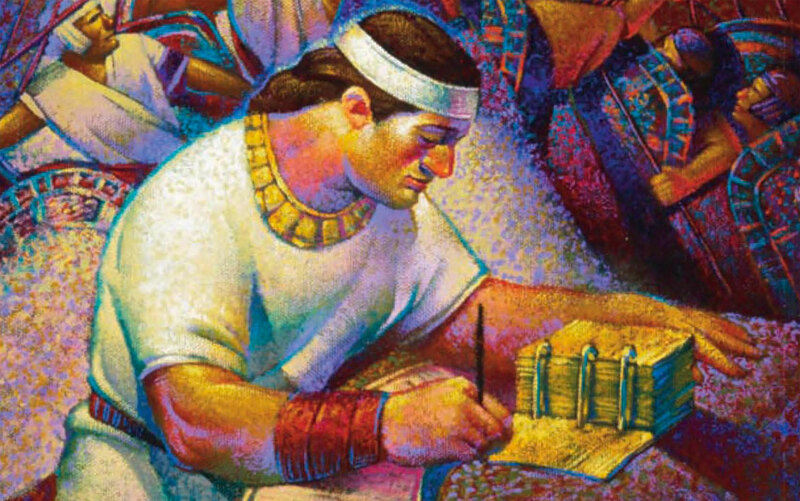 For example, the last four chapters of 1 Nephi deal with the future of Nephi’s people in their new land of promise.4 The order of the topics in these four chapters, 1 Nephi 19-22, tightly follow the order the same four stages found in 1 Nephi 11–14 and 2 Nephi 6. Along with his presentation of this prophetic pattern, Nephi quotes Isaiah 48 and 49, which correspond to stages 2 and 3, respectively. John W. Welch and J. Gregory Welch, Charting the Book of Mormon: Visual Aids for Personal Study and Teaching (Provo, Utah. : FARMS, 1999), charts 96-99. 1. The appearance of passages in the Book of Mormon from sections of the book of Isaiah labeled by scholars as “Second Isaiah” (Isaiah 40–55) has been the source of some criticism. It is beyond the scope of this KnoWhy to address these issues. For one take on the matter, please see John W. Welch, “Authorship of the Book of Isaiah in Light of the Book of Mormon,” in Isaiah in the Book of Mormon, ed. Donald W. Parry and John W. Welch (Provo, UT: FARMS, 1998), 423–437. 2. John W. Welch, “Getting through Isaiah with the Help of the Nephite Prophetic View,” in Isaiah in the Book of Mormon, ed. Donald W. Parry and John W. Welch (Provo, UT: FARMS, 1998), 19–45. 3. Welch, “Getting through Isaiah,” 22. 4. Welch, “Getting through Isaiah,” 24.